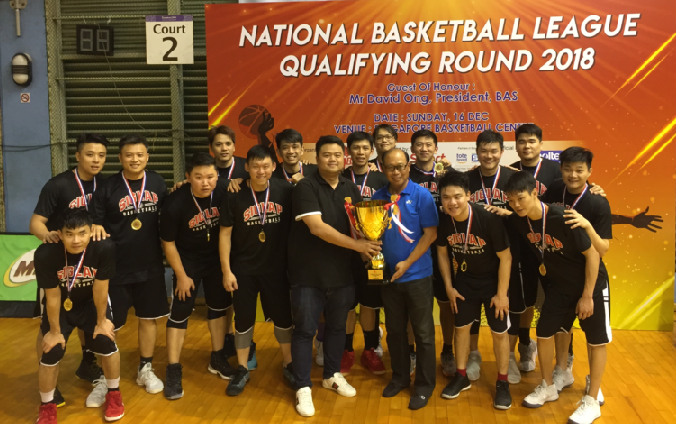 PCW & Partners - National Basketball League Qualifying Round Champions 2018! With 40 teams and after 120 games worth of action played, the National Basketball League Qualifying Round 2018 was concluded on 16 December at Singapore Basketball Centre, at 7.30pm. Congratulations to PCW & Partners, Champions of National Basketball League Qualifying Round 2018! The Guest-of-Honour attended the Finals is Mr David Ong, President BAS. Both Finalists PCW & Partners and SBA will be promoted and eligible to compete in the 2019 National Basketball league Division I!